Sensi Seeds CBD Oil Capsules are a food supplement containing cannabidiol, a natural constituent of the Cannabis sativa L. plant. 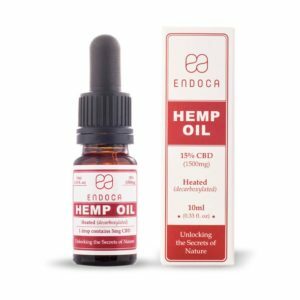 CBD Oil capsules are a new way to enjoy all the benefits of CBD Oil – without the bitter taste. What if you don’t like the taste of CBD oil? 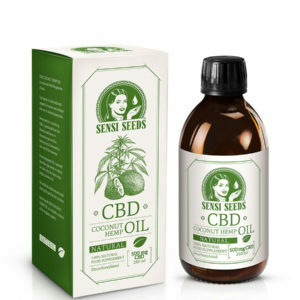 Sensi Seeds now offers CBD Oil in a convenient slow-release capsule, designed to resist digestion in the stomach for optimal absorption. 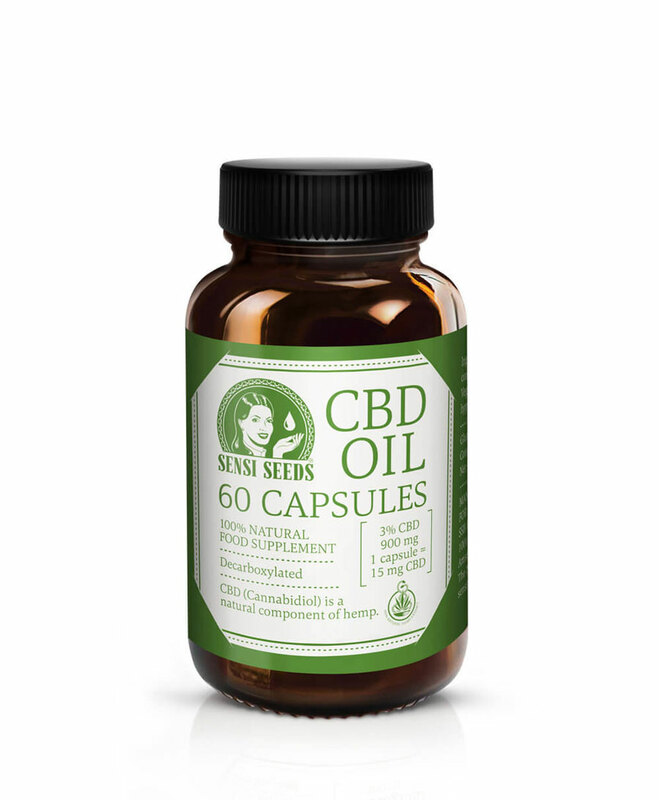 Gluten-free and suitable for vegans, Sensi Seeds CBD Oil Capsules are made of hemp leaves produced from EU-certified plants and mixed with hemp seed oil. The hemp plants are grown without the use of pesticides or herbicides, in order to produce a safe product of the highest quality. 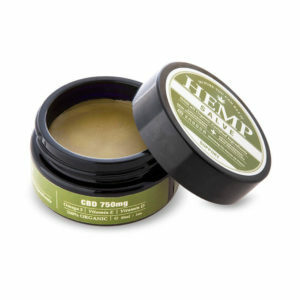 Each capsule contains approximately 520mg of oil, providing 15mg of CBD. 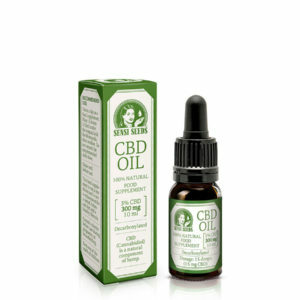 Cannabidiol, or CBD, is found naturally in the Cannabis sativa L. plant. Unlike the cannabis constituent THC, it has no psychoactive effects. Sensi Seeds CBD Oil Capsules contain different phytocannabinoids in addition to CBD: CBC (cannabichromene), CBG (cannabigerol), and CBN (cannabinol). They also contain terpenes including: Myrcene, Limonene, Alpha & Beta -pinene, Linalool, B-caryophyllene, Caryophyllene oxide, Humulene, Nerolidol, and Phytol. 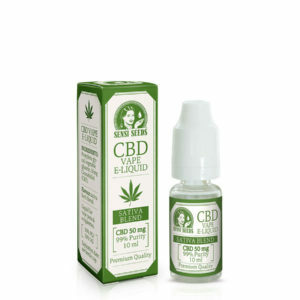 CBD Oil usually comes in a 10 ml or 30 ml bottle with a pipette. Because of its bitter taste some people prefer not to use it in droplets. CBD Oil Capsules are flavourless, easy to take, and they maintain their potency during digestion. Stomach acid tends to degrade CBD into inactive metabolites, rendering it less effective when it reaches the absorption site – the small intestine. Sensi Seeds CBD Oil Capsules are resistant to stomach acid, which means the CBD is not broken down and is absorbed directly by the body. The capsules are made of an extract of industrial hemp leaves from EU registered varieties, mixed with cold pressed organic hemp seed oil. The mixture is encapsulated in a delayed release capsule – a vegan, gluten-free capsule that contains approximately 580mg of oil, including 15mg of CBD. Once or twice a day, take one capsule with water, 30 minutes before a meal. One CBD Oil capsule contains 15 mg CBD. Do not exceed the recommended daily dose. 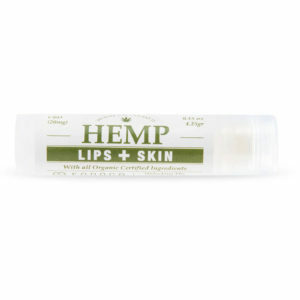 Other ingredients include hemp seed oil, hemp extract, sunflower lecithin, tocopherol rich extract (E306), hypromellose, and gellan gum. This food supplement is not medicine and is not a replacement for a varied, balanced diet and a healthy lifestyle. Consult a doctor before using during pregnancy or breastfeeding. Keep out of reach of children. 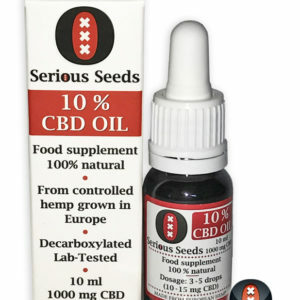 Sensi Seeds CBD Oil Capsules can be stored for up to 24 months in a dark and dry place between 4°C and 20°C. Avoid contact with oxygen, light, or higher temperatures as this will negatively influence the quality. Opened packages should be closed immediately.